Fashions change. Much of what was “in” – like excessive body hair– is now decidedly “out”. The hirsute male, whose coarse chest hair once proudly bristled beyond the confines of a wide-collared shirt, has been replaced by a smoother, sleeker sort of man – one that’s strong, masculine – and confident in freeing himself from the rough clutches of body hair. You too can be free! 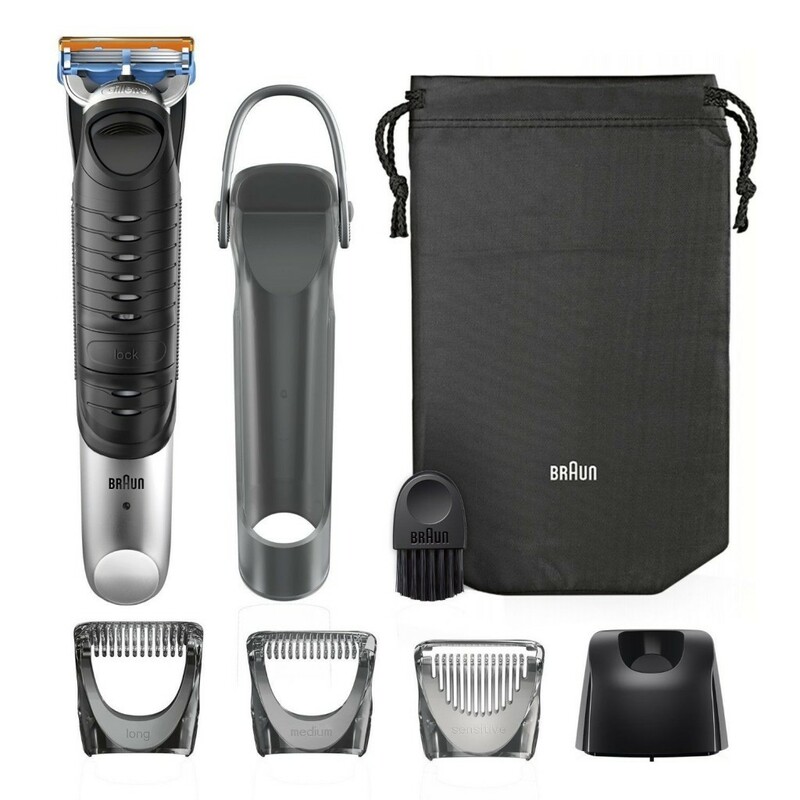 All you need is the Braun BG5030 Body Trimmer – an affordable and decidedly excellent men’s grooming tool. Suitable for all-over use, giving you a completely groomed body. Includes three trimming combs – Sensitive (0.6 mm); Medium (3 mm) and Long (8 mm). Specially designed to prevent irritation when trimming sensitive areas, such as underarms or groin. 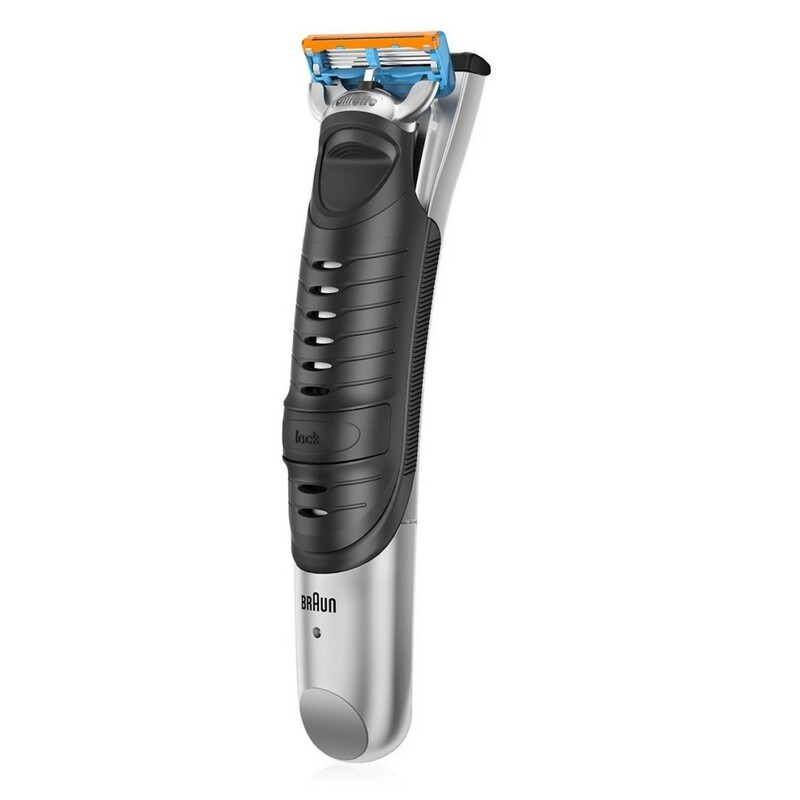 Combines electric trimming and wet shaving technology for the best possible result. 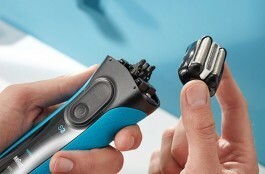 Fast and convenient: combination mode allows trimming and shaving in one motion. Trims and Shaves Everywhere – Enjoy Head-to-Toe Grooming! Everyone is a bit different, and whether you have a hairy chest, hairy back, hairy you-know-what – or all of the above – the Braun BG5030 has you covered. I’ve had no trouble trimming or shaving even difficult-to-reach, sensitive or otherwise challenging areas. Some body hair groomers can’t handle skin that dips, recedes or protrudes (think buttocks, groin, underarms and abdomen), but the BG5030 handles it all, effortlessly. Are you a manly man? Of course you are – but today’s man isn’t just strong – he’s sensitive! That’s why the BG5030 trimmer utilizes a unique trimming element, specially designed to minimize irritation. 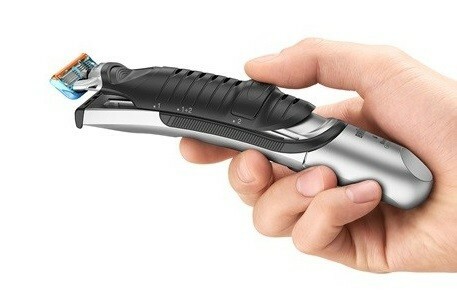 Unlike a regular beard trimmer (hands up if you’ve suffered the indignity of manscaping your groin with one of those! 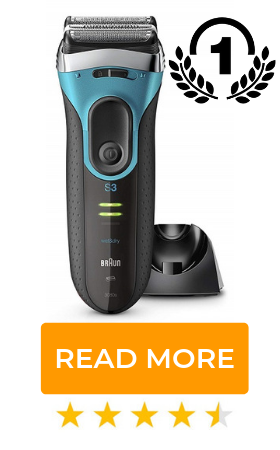 ), whose larger, more widely spaced teeth are only suitable for wire-tough facial hair, Braun’s body trimmer features small, finely spaced teeth that significantly cut down – pun intended – on cuts and scratches. In keeping with the BG5030’s comfort-driven design, Fusion cartridges are one of Gillette’s most advanced wet shaving products. The five blades are closely-spaced, maximizing cutting efficiency while minimizing pressure – and the flexible comfort guard and lubricating strip reduce irritation while improving performance. 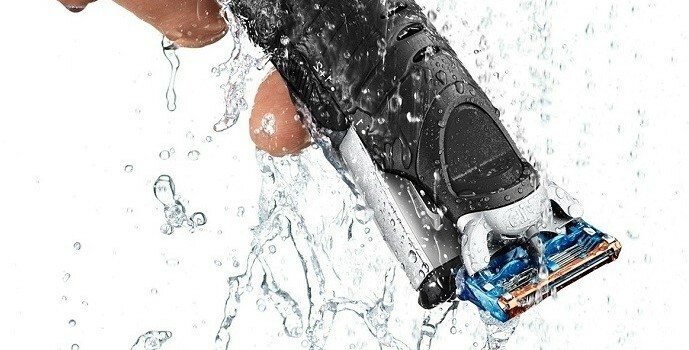 Braun is famous for thoughtfully designed, well-built grooming tools, and the BG5030 is no exception – it’s one hundred percent waterproof, which means it can be used in the shower! 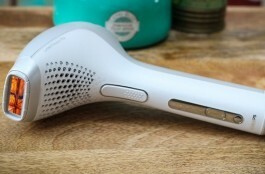 I’m a fan of doing so: the hot water softens skin, making hair removal easier, and stubble is immediately rinsed away and down the drain, keeping me – and the trimmer – clean! Long gone are the days of being tied to a mains outlet. I appreciate that Braun’s BG5030 Body Trimmer is powered by a rechargeable battery, making it possible to pick up and use whenever I need it. The included charging stand is more convenient than a basic charging cable – after each use, I simply place the trimmer on the stand, and though the two nickel metal hydride batteries charge more slowly than their costlier lithium ion counterparts, the infrequency with which the trimmer gets used, as well as the generous runtime, means I never worry about losing power. 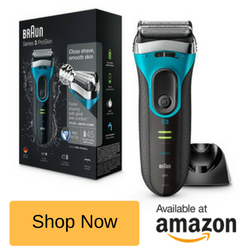 Though the BG530 is manufactured by Braun – a company whose highest-end offerings don’t come cheap – and incorporates trimming, grooming and shaving technology – it’s affordable, presently selling for under £35. It’s also comfortable to hold, easy to use, and has presented me with no issues worth mentioning. If you’re in the market for an effective, reasonably-priced body trimmer, look no further than the Braun BG5030!